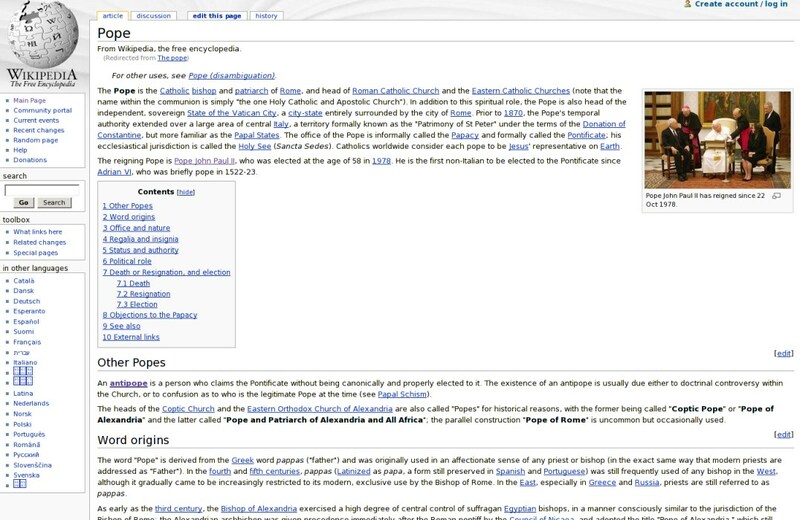 In this article, I respond to Robert McHenry’s anti-Wikipedia piece entitled “The Faith-Based Encyclopedia.” I argue that McHenry’s points are contradictory and incoherent and that his rhetoric is selective, dishonest and misleading. I also consider McHenry’s points in the context of all Commons-Based Peer Production (CBPP), showing how they are part of a Fear, Uncertainty and Doubt (FUD) campaign against CBPP. Further, I introduce some principles, which will help to explain why and how CBPP projects can succeed, and I discuss alternative ways they may be organized, which will address certain concerns. For the uninitiated, FUD stands for “Fear, Uncertainty, and Doubt.” It is a term popular within the free software community, used to describe the use of lies and deceptive rhetoric, aimed chiefly at free software projects. It is an accurate term. In brief, the goal of FUD is to make money when the free software competition cannot be defeated fairly in the marketplace. This can be done by scaring consumers through wild propaganda, or more recently, confusing courts through more subtle arguments. Foremost in the FUD hall-of-shame are figures such as Microsoft CEO Steve Ballmer and SCO Corporation CEO Darl McBride. CEOs such as Larry Ellison and Scott McNealy advance FUD from time to time as it suits them, but are not as single-mindedly unrelenting as the worst of the bunch. For more information on these gentlemen, their claims, and the truth, I refer you to web logs such as Slashdot, Lawmeme, and Groklaw. Wikipedia: hated by former editors of print encyclopedias everywhere? McHenry’s article is not so much remarkable for its own points (which I dissect below) as for the reaction to it. Most people, even those who know Wikipedia well, seem to lack confidence regarding its role in society. Even Larry Sanger, a former project member and co-founder of Wikipedia, largely defers to McHenry’s sentiment [Sanger, 2004]. Sanger goes as far as suggesting Wikipedia needs to be more elitist (note how he doesn’t say more meritorious), which would explicitly undermine the value of the project. I know other, very intelligent people, who had a “gosh, what were we thinking” reaction to McHenry’s article, as if an angry god had come down from upon high to punish them for falling astray. Some of this attitude is understandable - Wikipedia is so new that most people don’t know what to make of it. However, people like McHenry, with a vested interest or deep-seated bias, are ruthlessly taking advantage of this trepidation. I would implore everyone to weigh their own experiences in the matter much higher than the abstract arguments of third parties. Have a look at our latest articles. And don't forget to subscribe! !